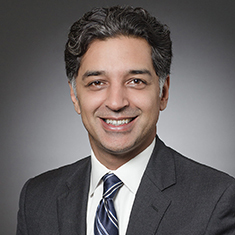 Shan Haider represents financial institutions and other participants in a wide range of insolvency matters, distressed structured finance opportunities and mortgage transactions. He has deep experience in residential mortgage transactions, including whole loan transfers (NPLs/RPLs), mortgage servicing rights (MSR) transfers/financings, residential mortgage-backed securities (RMBS) and related transactions. Shan helps clients navigate structured credit investing opportunities, particularly in regards to RMBS and collateralized debt obligations (CDOs), and can assist with the development and execution of an investment strategy. He regularly counsels clients in insolvency-related matters relating to complex credit transactions, including structured products, with a focus on unlocking or preserving value in litigation and distress situations. During the height of the financial crisis, Shan served as a judicial law clerk for the Delaware Bankruptcy Court. Shown below is a selection of Shan’s engagements.